The night after Mejia was shot, a candlelight vigil grew into a protest with more than 100 young people filling the busy intersection where Mejia was shot. Someone had parked a white SUV in the intersection and people were standing on top of it launching bottle rockets while others stood nearby carrying signs and shouting “¡Queremos justicia!” (We want justice!). One night, a reporter from the local TV news attended a meeting. At the time, I was an outreach coordinator for the United Farm Workers Foundation, so the reporter asked me for an interview—and if I was “for” or “against” the police. In that moment, I realized that the “us vs. them” narrative is part of the problem. It’s one thing to work on changing that narrative through community organizing, but another thing to explain it in a news five-second clip. On-camera, I said something about how it was easy for the media to perpetuate the “us vs. them” narrative because it’s filled with the drama and conflict that sells news. 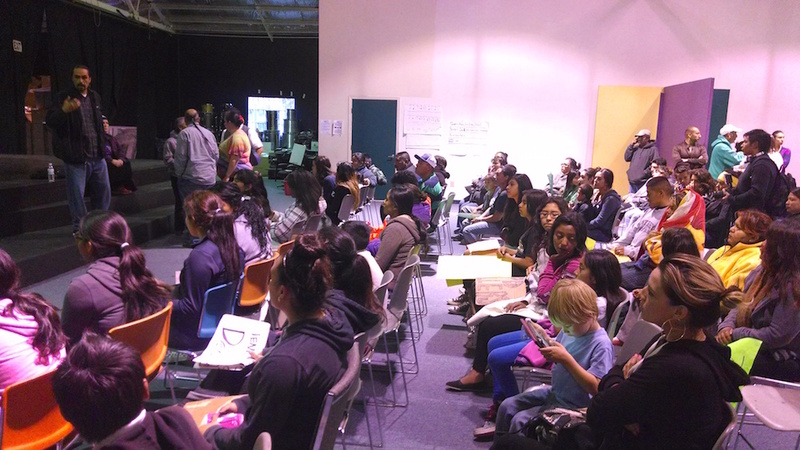 It was very important to us, as organizers, that the community didn’t come in unprepared. We did not want a situation where people were yelling at the police, shutting conversations down, and leaving the community angrier. The reality is that we do not know how this work on community-police relations will succeed in the long-term, but as we expand our efforts, we must also take a critical look at the deeper roots of the broken relationships between law enforcement and the people they are supposed to serve and protect. In Monterey County, 1 in 3 residents fall below the poverty line, and child poverty is especially high. Mending relationships with the police is just one part of the work we have to do in Salinas. And residents of the community must be the ones driving that change. Jesús Valenzuela is a health equity organizer with the Monterey Bay Central Labor Council, AFL-CIO, as well as a freelance reporter and member of Pacific Media Guild. 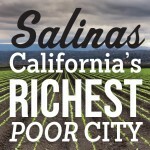 He lives and organizes around health issues with the #Health4All campaign in Salinas and across California.This essay is part of Salinas: California's Richest Poor City, a special project of Zócalo Public Square and The California Wellness Foundation. Primary Editor: Lisa Margonelli. Secondary Editor: Becca MacLaren.